HORSE LOVERS!! The home is almost ready to be livable. All left to do is the flooring, kitchen and some minor items. Roof has been installed. 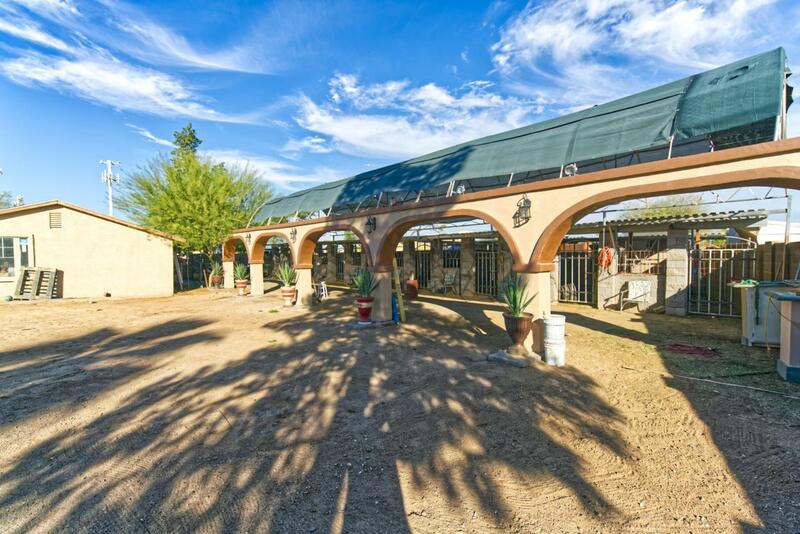 The property features a very private large lot with COSTOM horse stalls. This property won't last!! Listing courtesy of A.Z. & Associates Real Estate Group. © 2019 Arizona Regional Multiple Listing Service, Inc. All rights reserved. All information should be verified by the recipient and none is guaranteed as accurate by ARMLS. The ARMLS logo indicates a property listed by a real estate brokerage other than Yost Realty Group at RE/MAX Casa Grande. Data last updated 2019-04-18T14:11:59.817.